A cat’s whiskers are a valuable tool and far more complicated than they appear on the surface. These specialized hairs, called vibrissae, are thick and long with a large concentration of nerve endings. These very sensitive organs are found on a cat’s muzzle, lower limbs, and above the eyes and create a whole new way for your cat to view the world. It’s safe to say that cats would be lost without their whiskers! Whisker fatigue happens when these sensitive organs become overloaded by stimuli from the world. Imagine being in a room and being bombarded by different sounds and noises from every direction. Stressful, right? In our homes a cat’s whiskers receive much more input than they might outdoors. Even things like stimulation from the sides of food bowls can cause enough repeated input to cause your kitty some distress. 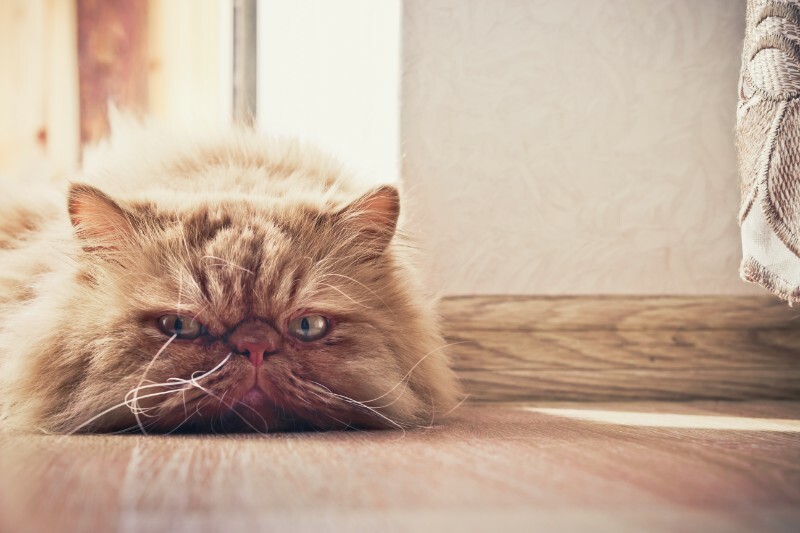 If your cat seems stressed, whether it be in relation to eating and drinking or anything else, it is best to give us a call. We love your cat as much as you do, and are happy to help keep your kitty happy in any way we can. Previous: Ask a Vet: Are Dog Parks Safe?